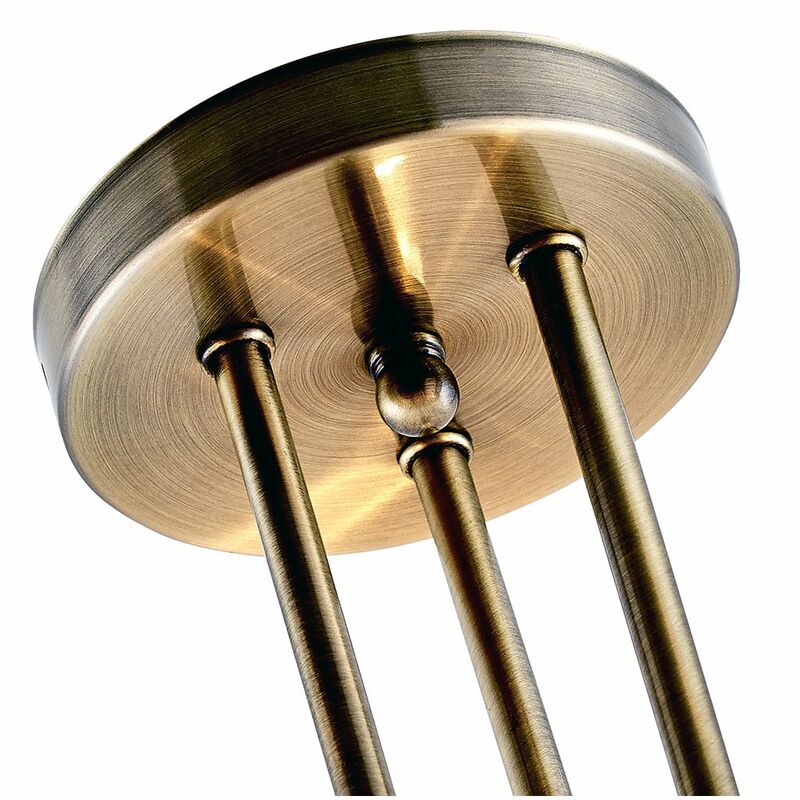 Traditional and sleek brushed antique brass plated ceiling light fitting. 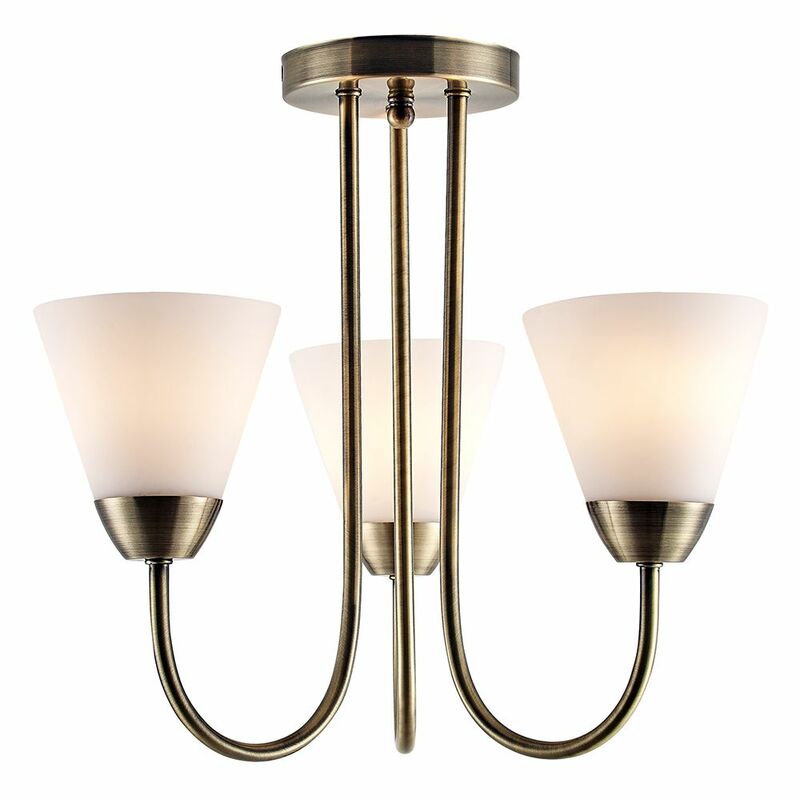 Includes opal white glass diffuser shades and looping metal arms. Total product dimensions: Height - 38cm, Width - 34cm, Depth - 34cm. Requires 3 x E14 (SES) bulbs - maximum 40watt each (not included). 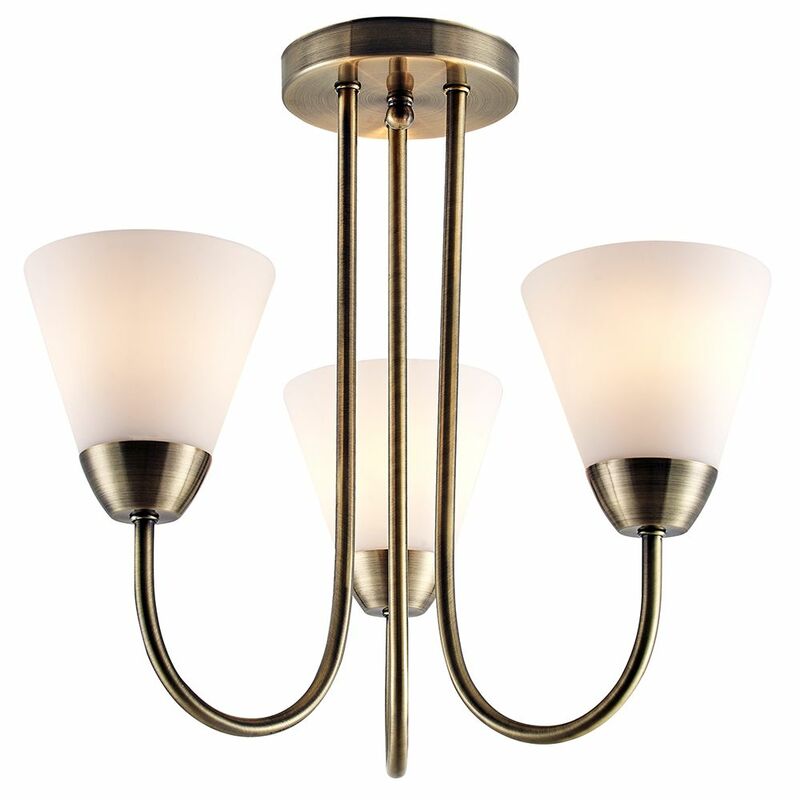 This light fitting is perfect for rooms with low ceilings. Suitable for dimming but please make sure that bulbs used are also dimmable.